When the summer heats up, there's nothing better than a fresh-baked batch of lemon snowballs. 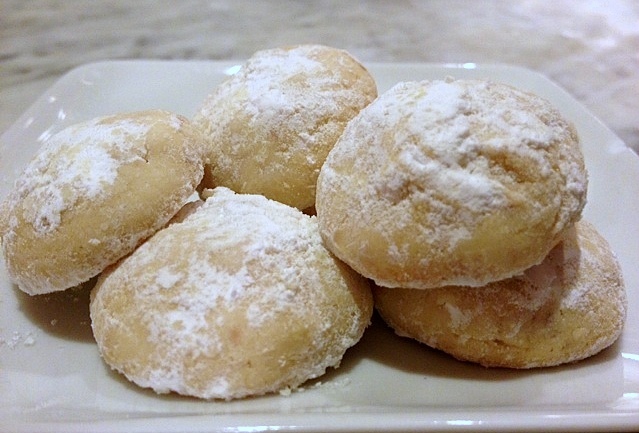 These delicious lemony cookies covered in confectioners sugar "snow" will make you forget that it's 95 F outside. While the oven is preheating (and simultaneously heating your kitchen to scorching temperatures, all worth it, I can assure you) start the cookies. Zest and juice the lemons. 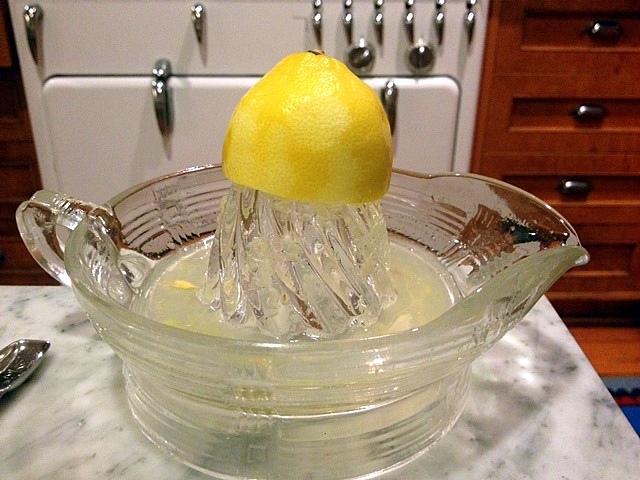 I find a lemon reamer to be best for the juicing and a microplane ("helpfully"not pictured) for the zesting. 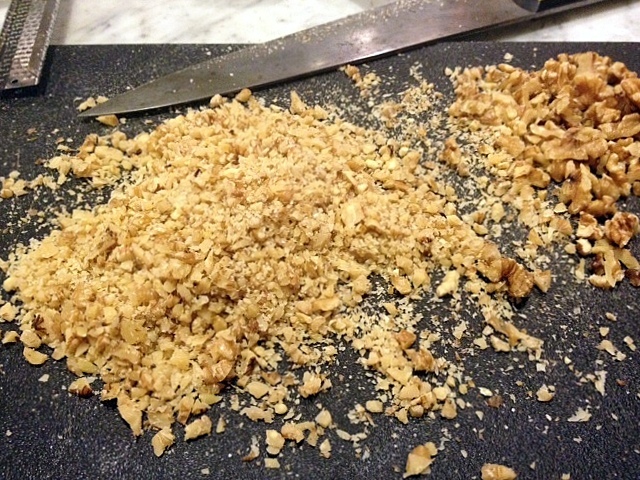 Chop the nuts fine; I used walnuts, but pecans would be great, too. You could use a food processor, but I did it old school, with a knife. 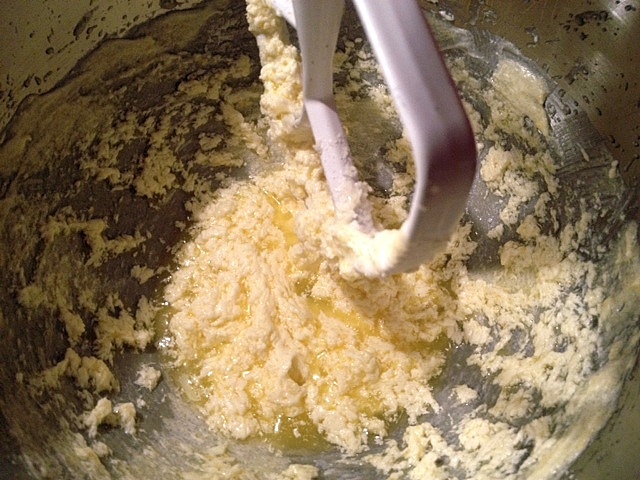 The batter will look curdled at the beginning, but soldier on. 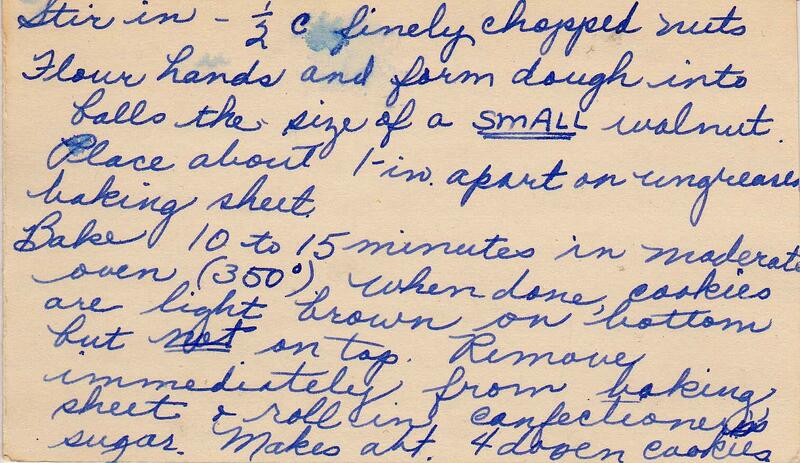 Form the dough into ball the size of a "SMALL walnut" instructs the vintage recipe card. 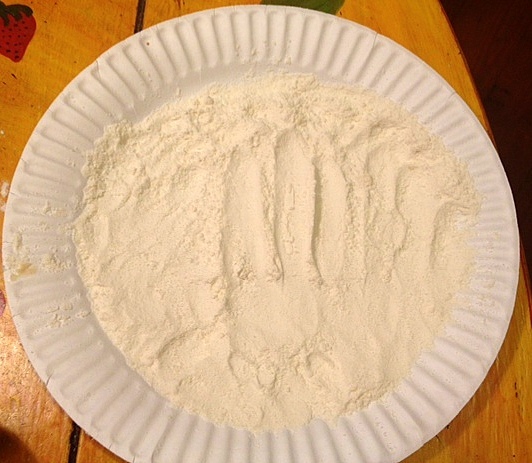 This is best accomplished by dipping your hands in flour. 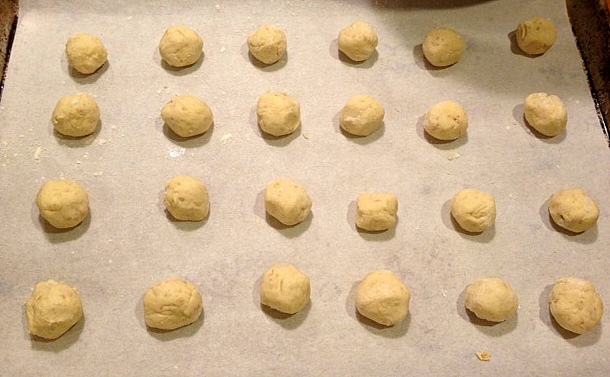 Bake until light brown on the bottom (but barely colored on top). You can use a small spatula to lift the cookies to peek. 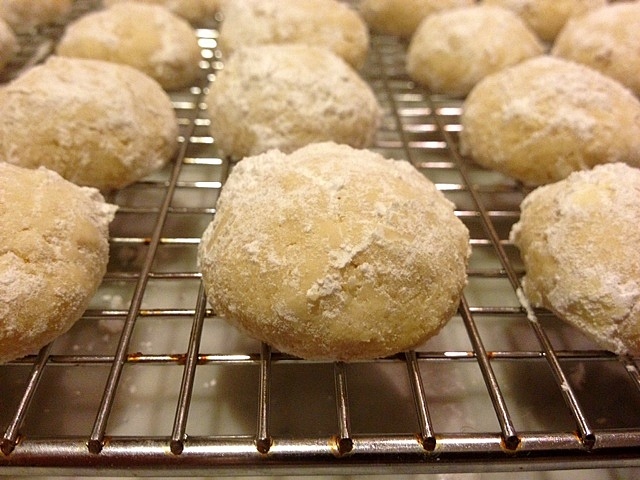 As soon as they're out of the oven, roll them in confectioners sugar. Put them on a rack to set. Or a plate would be fine. And for those of you who have read to the end, here's a real snowball (three, actually) saved in our freezer from the NYC Blizzard of 1996. Susan, These sound fantastic. I am visiting Canada and we got evacuated from the Slocan Valley due to a fuel spill. Just got home and catching up on blogs. . . and we are making these tomorrow!! I can not believe you saved snowballs from 1996. Was that the last time you cleaned the fridge/freezer? Or the last time it snowed where you live? HA Love the pics! 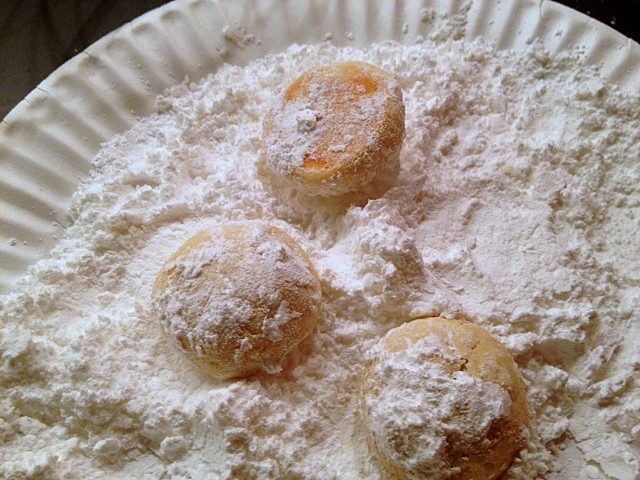 and the snowballs. 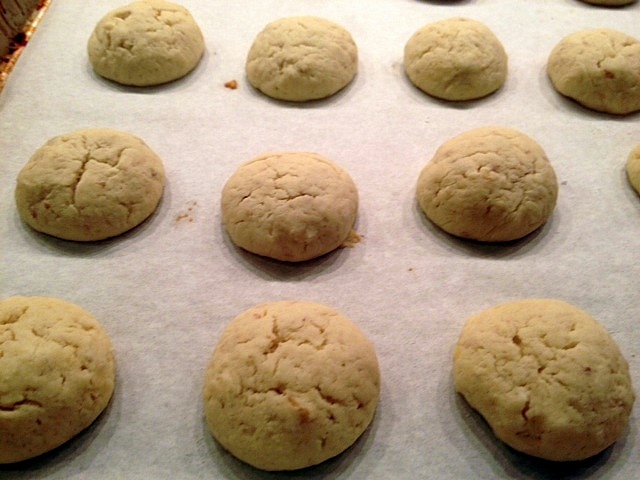 Look like the pecan sandies, but these will be even better because of the lemon. You know I can't get enough lemon! KJ -- These cookies are great! And no on both accounts -- the fridge cleaning and the snow. 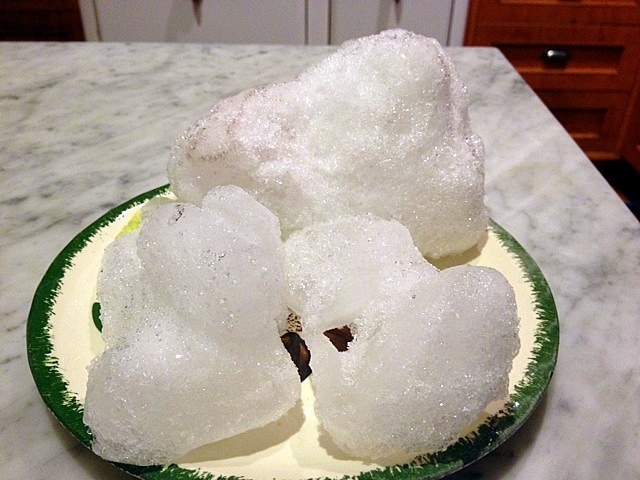 In fact, last year when we replaced our refrigerator, a kind neighbor stored the vintage snowballs in her freezer during the time between when we had to empty our old fridge and the new fridge was installed. Welcome home and thanks for writing! I am beginning to feel like Julie and Julia, only my mentor is Susan CBNB! We just made these cookies and WOW!! Fantastic recipe! Very easy to make and delicious. I used pistachios for the nuts, cause that was what I had on hand. I think it was a perfect balance with the lemon. Then we had to stage them and took pics cause they look so good! 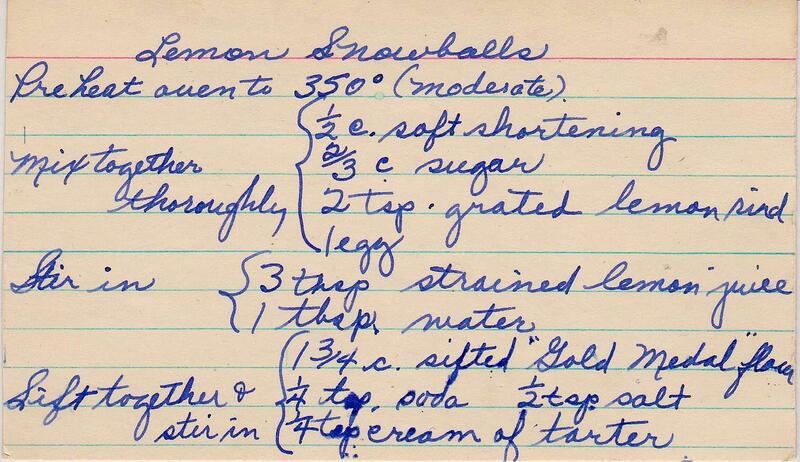 Now did you put the vintage snowballs back in your fridge? Bring them out in 2016! 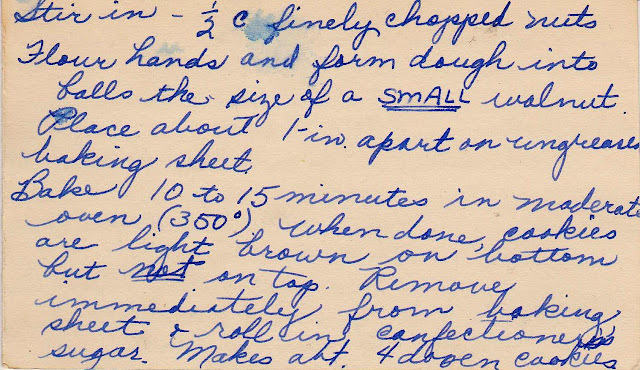 Thanks again for sharing your recipes and enthusiasm for baking.